The reading group ON PAINTING focuses on discussing key texts that concern painting and its positioning in the art discourse. As such, it is as much about painting as it is about the visual arts in general, contemporary and otherwise. Everybody is welcome. We will take as a starting point the text Painting as Model by Yves-Alain Bois (1986) and we will attempt to connect the very notion of ‘painting as model’ to subsequent texts such as Why Are Conceptual Artists Painting Again? by Jan Verwoert (2005) and Painting Beside Itself, by David Joselit (2009), amongst other possible texts. ON PAINTING is an initiative of Platform BK in collaboration with visual artist Isabel Cordeiro. Isabel studied at Piet Zwart Institute in Rotterdam and at the Faculty of Architecture of the Technical University of Lisbon. She currently teaches at Minerva Academy in Groningen. The reading group will run through November and is divided into four sessions on Thursdaynight on 10, 17, 24 November and 1 December. 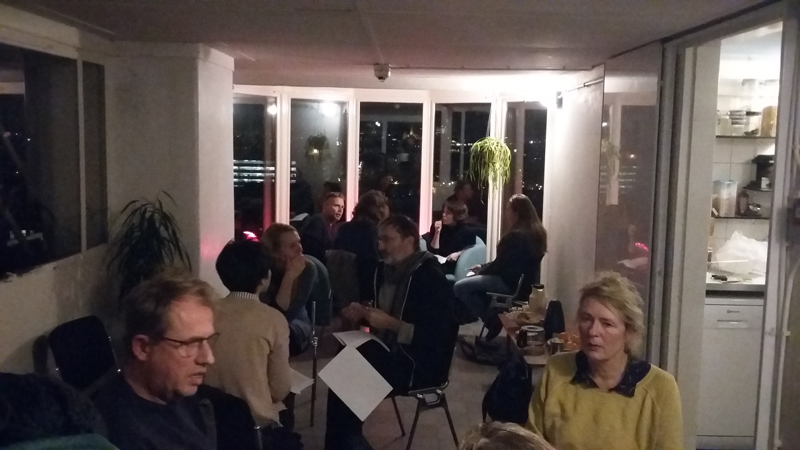 The meetings take place between 20:00-22:00 at Platform BK, Da Costakade 158, 1053 XC Amsterdam.